The first sign in the window of what’s in the works. To get a sneak peak at the bare bones version of a major adventure for local arts, come on by 116 North Queen Street in downtown Martinsburg. We’re usually there working between 10 and 3. This will also be the location for a meeting about the new co-op on the 20th at 6:30; and for the BAC annual meeting at 7:00 pm on June 24. Help with the preparations is always appreciated. 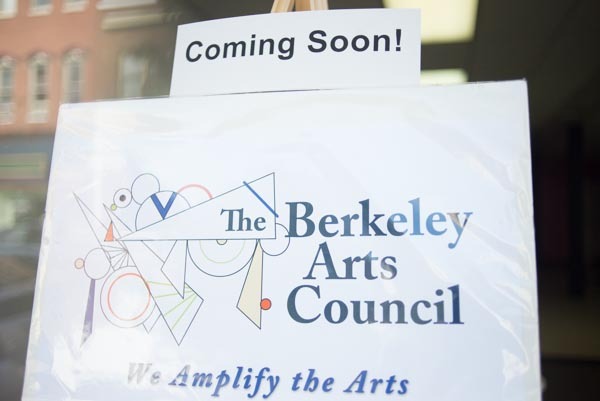 Email us at berkeleyartswv@gmail.com and let us know when you are available.